Maud Hart Lovelace (left) and Elizabeth Riley (right). 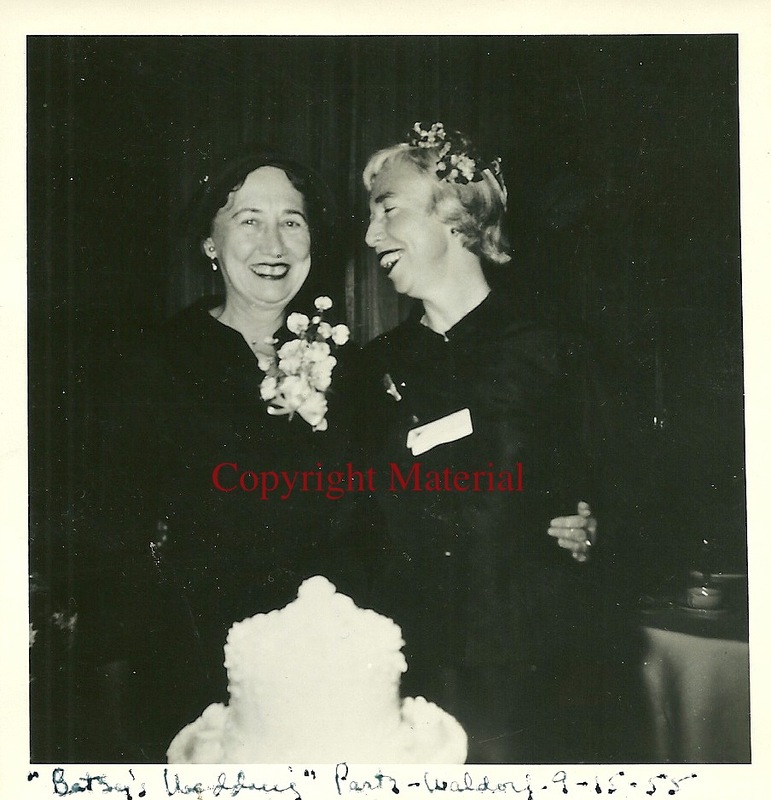 The handwritten caption on the bottom of the photo: “Betsy’s Wedding” Party – Waldorf 9-15-55. Elizabeth Riley was Maud’s editor for the Betsy-Tacy books. She was born on the West Side of Manhattan, graduated from New York University in 1928 and received a master’s degree from Columbia University two years later. Her first job was selling books at department stores, including Macy’s. Riley’s friend and children’s book author, Munro Leaf, recommended her to the Thomas Y. Crowell Company (now HarperCollins), where she started working as a general editor in 1938. At the time, the publisher offered college textbooks but had nothing in print for young readers. By 1939 she had had risen to senior vice-president. Elizabeth was entrusted with creating the publishing house’s children’s book department, and she built it into one of the best. Many of the books she published won prizes, among them several Newbery medals as well as a Caldecott. Maud and Elizabeth began working together along with illustrator Lois Lenski on Betsy-Tacy, which was published in 1940. 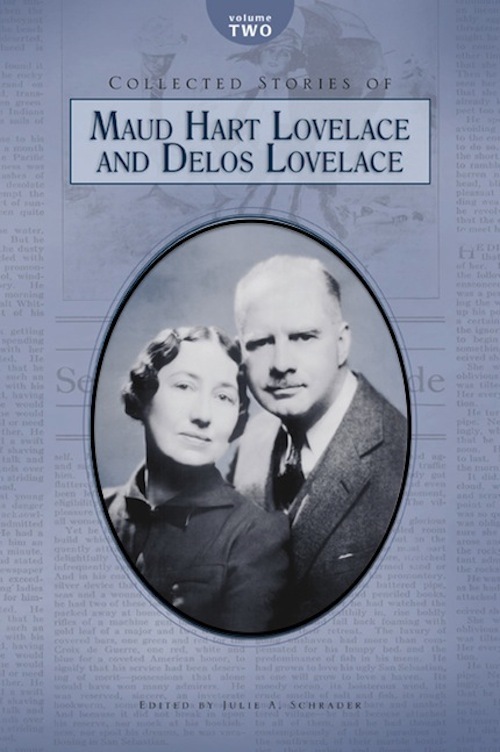 Maud and Elizabeth worked together on the entire Betsy-Tacy series that spanned through 1955. They became close friends and remained so throughout their lives. 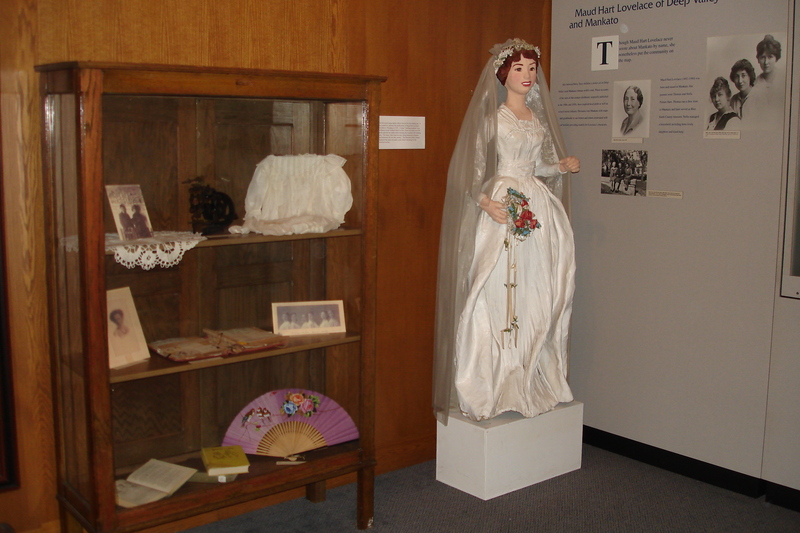 The Betsy bride doll on display at the Blue Earth County Historical Society. Elizabeth Mildred Riley died at the age of 94 at her home in Manhattan on January 27, 2002.